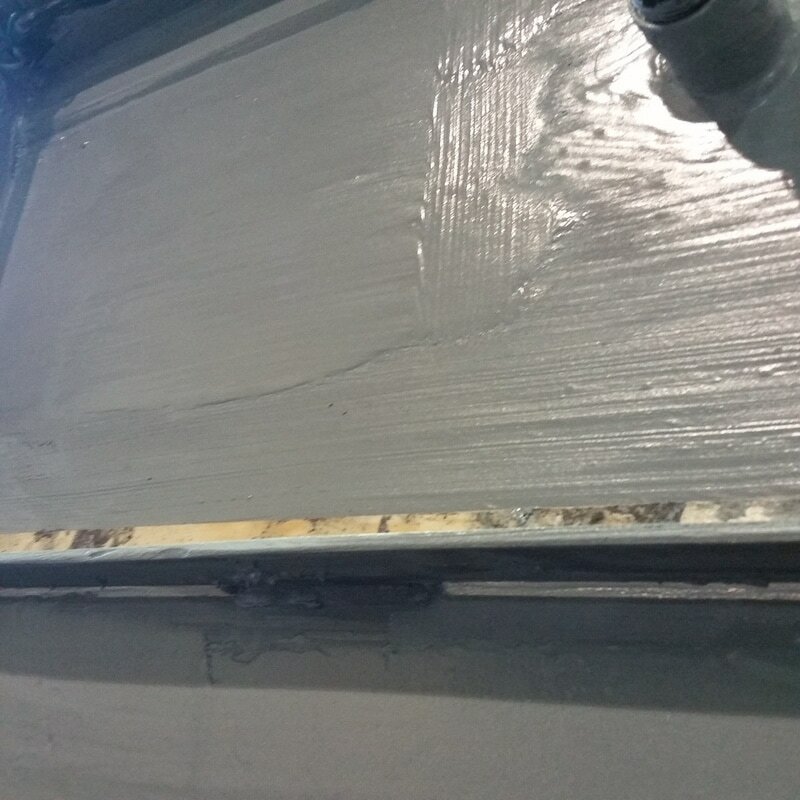 A two component 100% solids epoxy coating designed to be applied to metallic substrates with a surface temperature ranging from 2C to 50C. 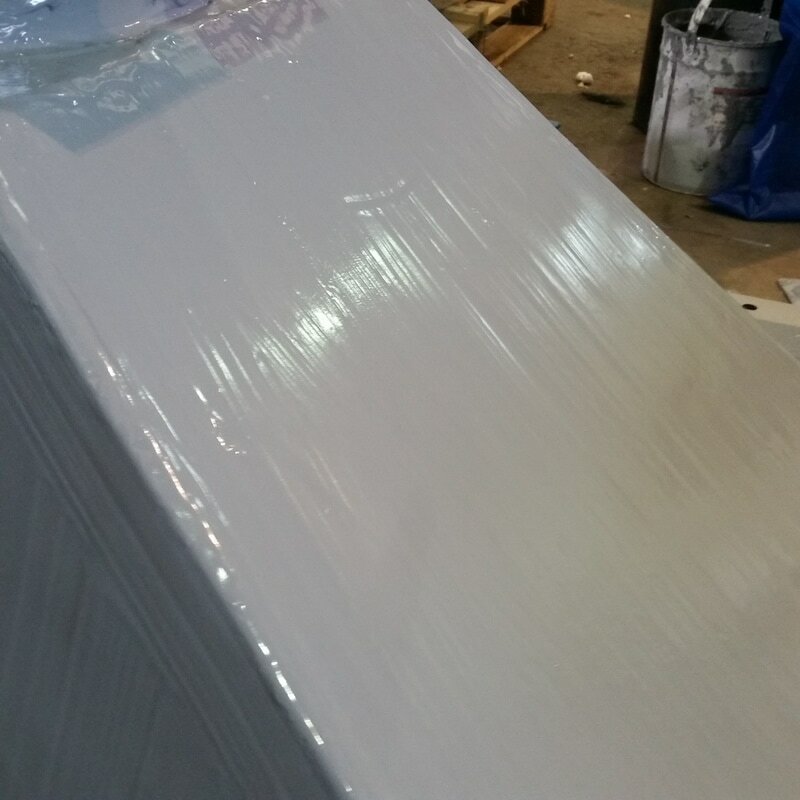 Once cured the product will reduce the potential for condensation on cold surfaces and reduce the touch surface temperature of hot surfaces. 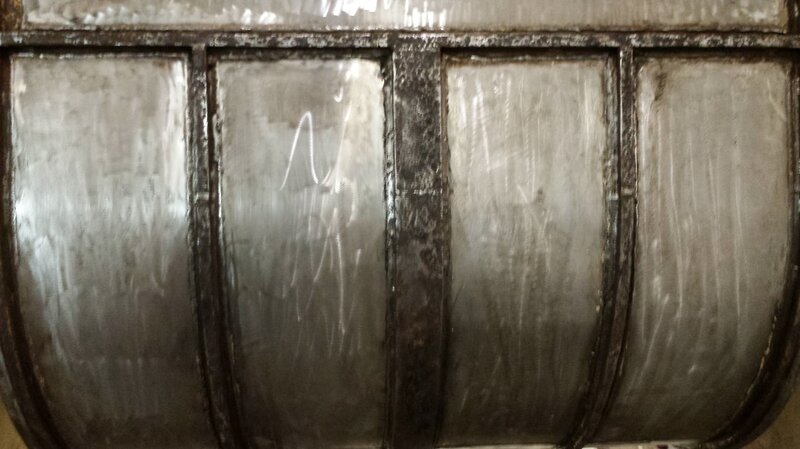 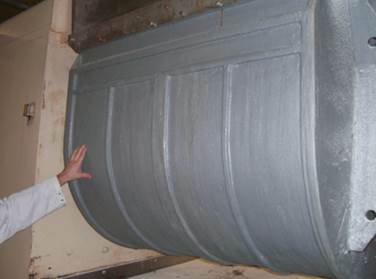 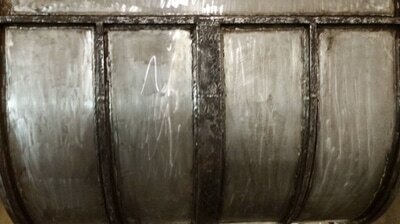 Heat Exchanger operating in a food factory required an insulative coating applying on the external surfaces. Operating temperatures of the heat exchanger were 110C. 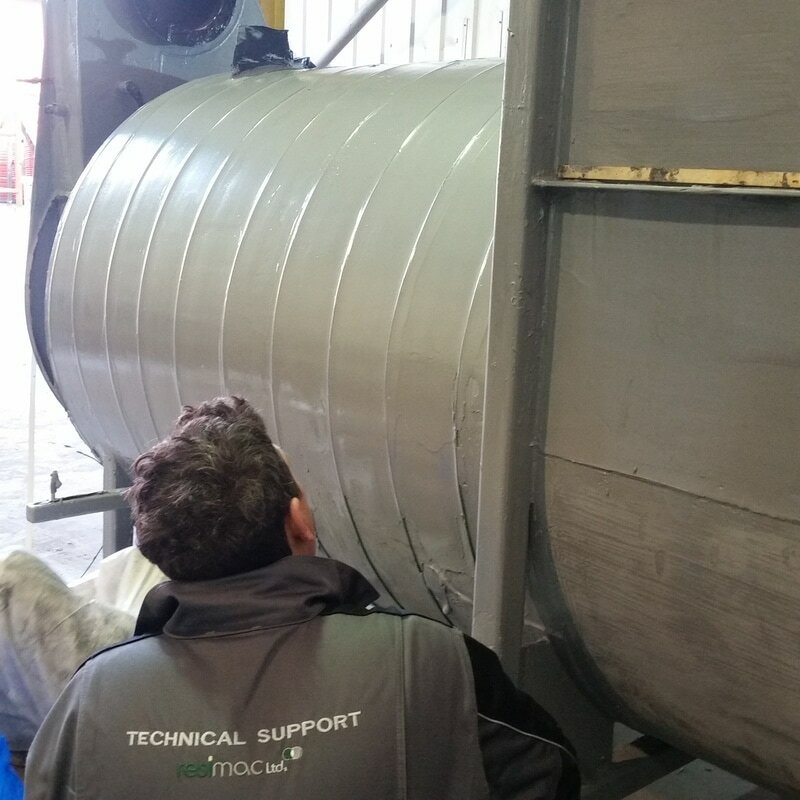 560 Thermal Barrier XF was applied to a maximum dry film thickness of 4mm to ensure the outer surface of the heat exchanger did not exceed 55C. 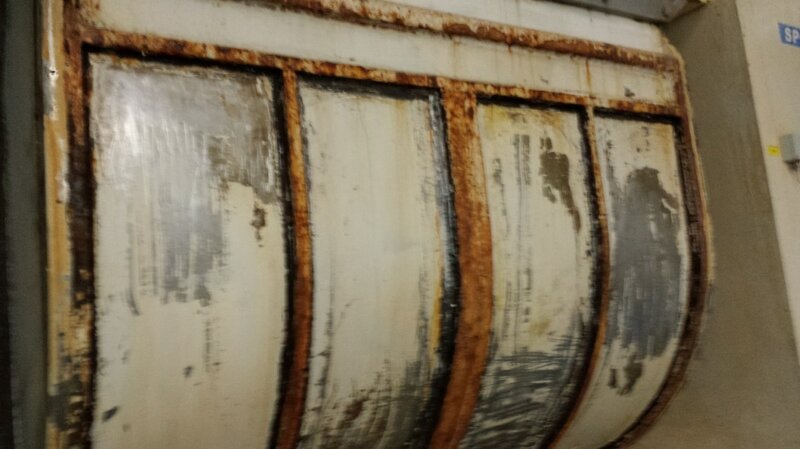 Mixing bowls in a large food manufacturer were suffering from condensation build up which was causing external corrosion of the mild steel surfaces. 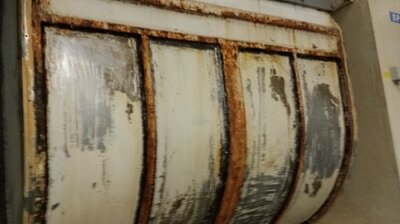 Surfaces were abraded using handheld mechanical grinders and coated with 560 Thermal Barrier XF at 3mm dry film thickness to eradicate any further condensation on the surface.